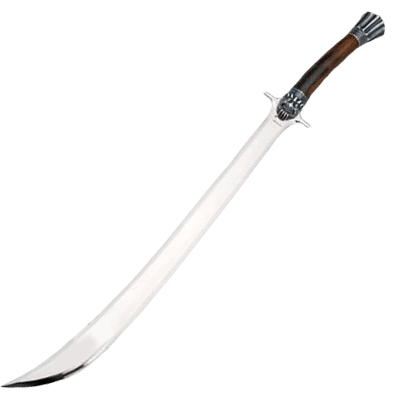 The Conan the Barbarian Silver Sword of Valera, by Marto, is a replica of the sword wielded by Valeria, a fiery warrior-woman who, in Conan the Barbarian, eventually becomes Conans lover. This sword is beautiful in its simplicity, as almost none of its otherwise elegant details have been lost in the reproduction of this weapon. 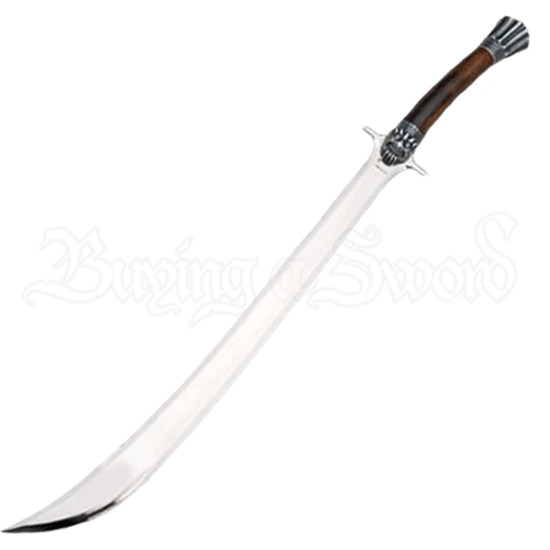 The single-edged blade has a subtle, slight curve, and the blade flares out at the grip to provide a small sort of guard. The hilt is simple, slightly re-curved and with few decorations on the pommel, just as a warrior would require their sword to be more function than anything else. Possessed of sensational detail and quality craftsmanship, the Conan the Barbarian Silver Sword of Valeria by Marto is a beautiful collectors item.